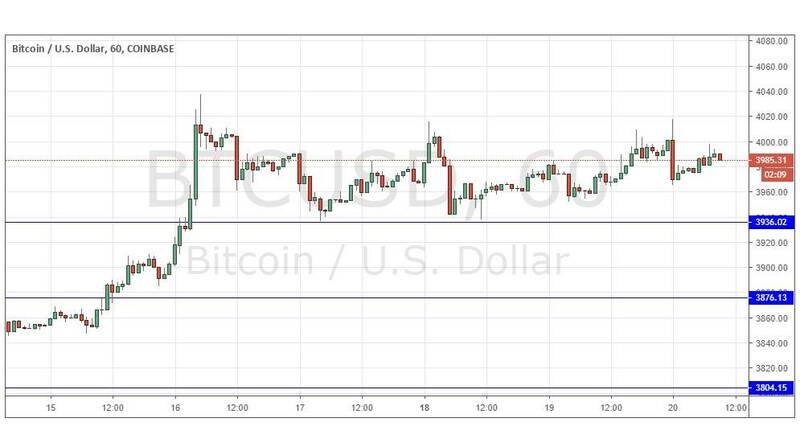 — Go long at a bullish price action reversal on the H1 time frame following the next touch of $3,936, $3,876 or $3,804. — Place the stop loss 1 pip below the local swing low. — Adjust the stop loss to break even once the trade is $50 in profit by price. — Take off 50% of the position as profit when the trade is $50 in profit by price and leave the remainder of the position to ride. — Go short after a bearish price action reversal on the H1 time frame following the next touch of $4,374. Regarding the USD, there will be releases of the FOMC Statement, Economic Projections, and Federal Funds Rate at 6pmLondon time, followed by the usual press conference half an hour later.